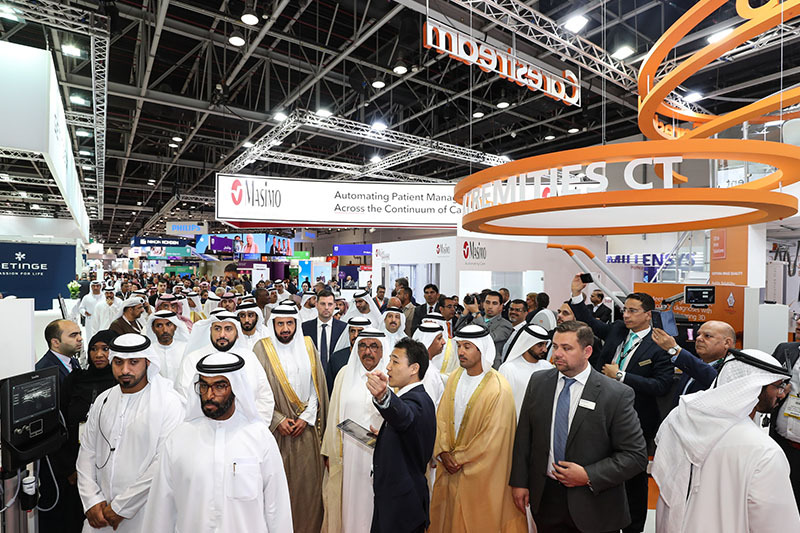 January 28, 2019 -- The deputy ruler of Dubai and United Arab Emirates' (UAE) minister of finance, Sheikh Hamdan Bin Rashid Al Maktoum, officially opened Arab Health 2019 and toured the commercial exhibition on the first day of the meeting. 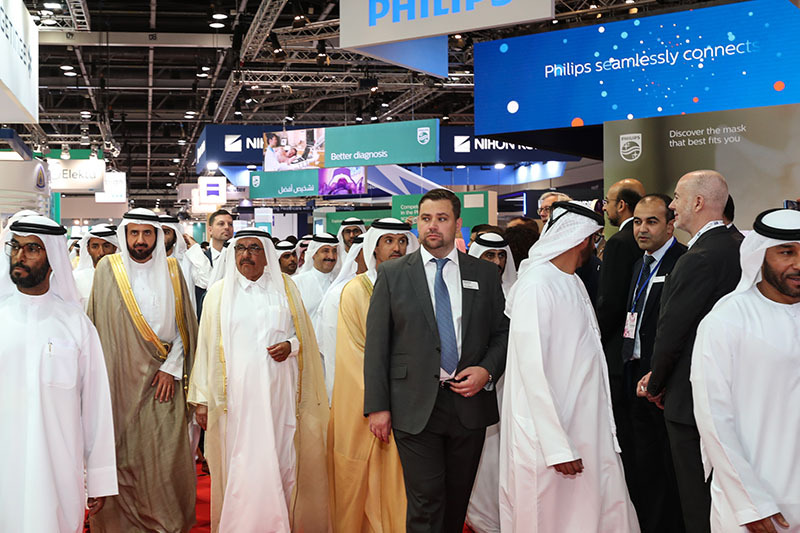 Sheikh Hamdan Bin Rashid Al Maktoum tours the vast technical exhibition area during the opening day of Arab Health 2019. All images courtesy of arabhealthonline.com. The organizers of the event in Dubai, UAE, expect to draw more than 4,150 exhibiting companies and 84,000 attendees from over 160 countries. The event includes presentations on a broad range of healthcare topics, including medical imaging. It runs from 28 to 31 January.